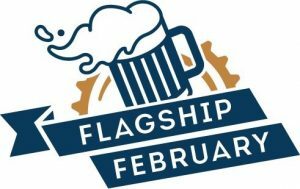 long-time beer author and resident of Toronto, came up with the idea to create the Flagship February campaign. A campaign aimed at reminding craft beer drinkers across the planet that there are beers out there that “paved the way for today’s remarkable global beer market, or in other words, the flagship beers that got us here.” Needless to say, the campaign has attracted much enthusiasm and it’s seen terrific traffic on social media. When GLB got wind of the idea, we jumped on board. We contacted Beaumont to let him know that we’d love to include Canuck Pale Ale in the campaign, a beer that, humbly said, sparked the hop forward pale ale movement here in Ontario. When GLB first released Canuck Pale Ale in 2010, at the Vancouver Winter Olympics no less, it truly was one of the first West Coast Pale Ales, made on the regular, to be available at the LCBO. It changed GLB forever. It charted new territory for this old brewery. Yes, in 2006 we launched Devil’s Pale Ale 666, our first ever ale, and it was received very well. It was packaged in a 473ml can (also newer in Ontario) and started GLB on our current ale course. But it wasn’t until Canuck made its debut that GLB started to roll with more aggressive, hop forward, flavour crushing pale ales and IPAs. The kind of beer we are now associated with. 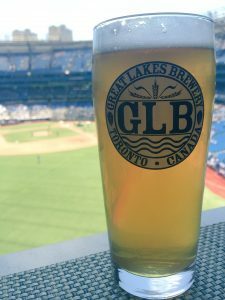 Canuck quickly became the go-to beer of all GLB staff, started rising in LCBO sales, and was the beer choice of many bar and restaurant staff. 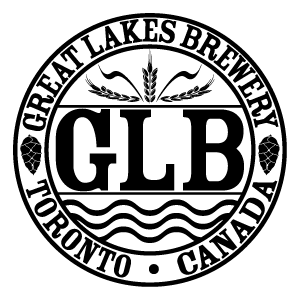 It won Gold medals in the Canadian Brewing Awards and was named Best Beer in Ontario at the Golden Tap Awards. It became our flagship. The beer that craft beer drinkers, who by this point (2012 – onwards) were coming out of the woodwork, knew us by. Over the last couple of years we’ve pushed hard on special releases, barrel-aged offerings, bottle conditioned beers, experimental brands, but we always end the day with a fresh can of Canuck. 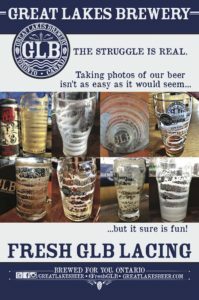 It is, after all, the beer that has allowed GLB to grow since its inception. And so, today, we salute Beaumont for bringing flagship beers to the forefront, if even for a month. To celebrate, we’ll be posting some vintage Canuck stories, offering some insight into the brand, discussing its many revamps (branding) and for the entire month of February, individuals visiting our retail store and taproom can purchase a 12oz glass of Canuck of only $4. Join us in recognizing flagship beers everywhere, one drink at a time.